Updated on June 23rd, 2017: The adidas EQT Support 93-17 Still Breeze “Glitch Camo” releases on July 8th, 2017 for $180. The adidas EQT series continues to get modernized revivals thanks to the ongoing combinations of Primeknit, Boost, and just the right amount of retro inspiration with popular silhouettes like the adidas EQT Support 93/17 holding down the release slate. 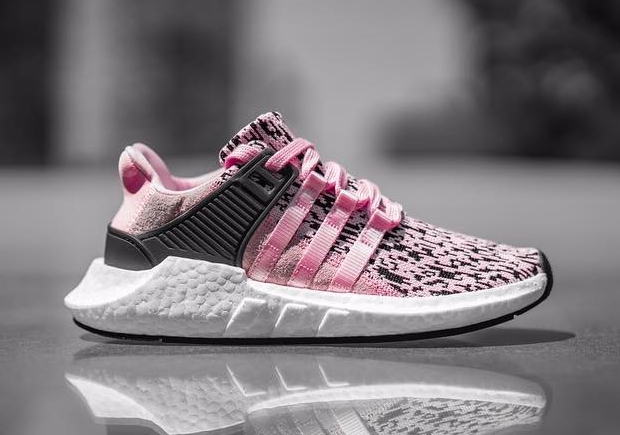 Today we get a preview of the upcoming EQT Support 93/17 Still Breeze Glitch Camo, a pair that takes the dusty pink shade that’s been so popular throughout this year and adds contrasting elements of black on the computerized woven pattern and retro-inspired ankle overlay. There even looks to be premium touches of suede to offset the EQT Support 93 ribbon side panel branding. The look is reminiscent of that popular adidas Ultra Boost 3.0 “Salmon” colorway that dropped this past February. Expect this option to arrive in the near future.